Our 2018 Bucket List…How We’re Doing Half Way Through The Year! 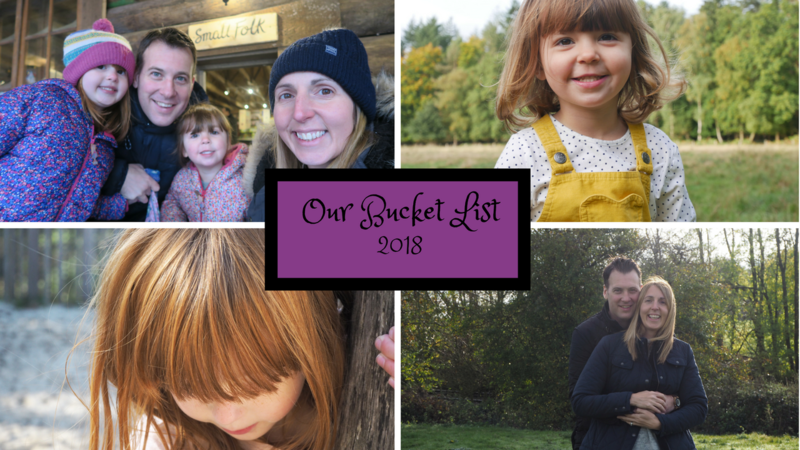 We’re now half way through the year andI thought it was a good time to see how we are getting on with ticking off our bucket list for this year. Decorate one of the downstairs rooms, either the lounge or the family room. The family room is still 90% done, I have the new lights I just need to arrange for someone to fit them for me. I also need a few photos to go on the wall. These little jobs always seem to take me ages to finish. Decide what we’re doing with our garden and start work on it. What we want to do is going to take a bit of saving and it won’t be done this year. Which is frustrating, but that’s life. I didn’t realise it would cost so much!! If we save enough money, decorate our bedroom. Since my last update the shutters are now fitted and I love them. The new shelves have arrived, but they are not on the wall yet. I’ve also brought something to go on the wall behind the bed, but again it needs putting up. Then I think this room will be done! Have a gallery wall going up the stairs. Yes!! 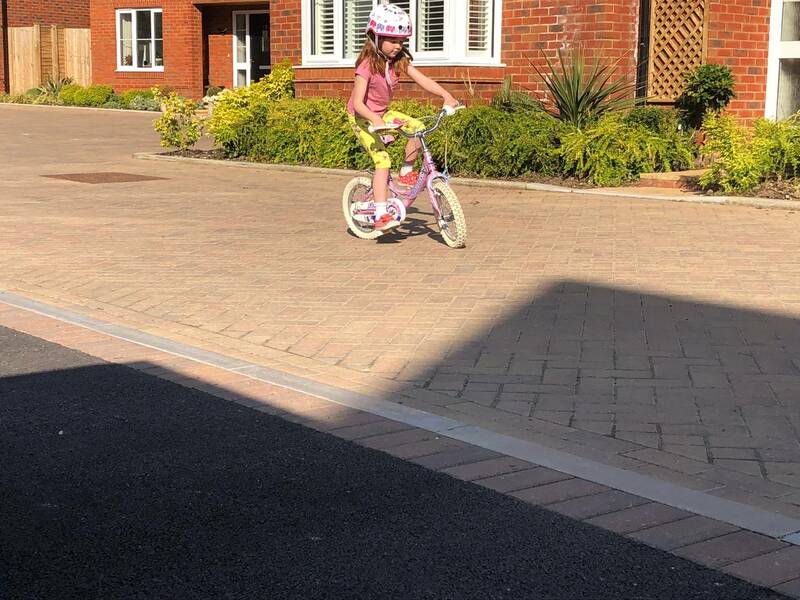 Alice can now ride her bike, without stabilisers and without our help. She is a very happy little girl and we now need to buy her a new bike for her birthday. She is nearly there bless her. She only has little legs and struggles a bit. Preferring to go on her scooter! We’ve been doing lots of baking and we made a lemon cake this month, which the girls loved doing and I loved eating it. We had not just one snowy Easter Egg hunt, but about 4 hunts. We can definitely tick this was off. Yes! Alice and I went and planted our sunflower seeds last week and now waiting to see if they will grow (please grow better than last year!). Alice birthday party is all planned and she is having a build a bear party at our house. She is VERY excited about it. I’ve decided not to do a party for Holly and we’re going to take her to Peppa Pig World which she can’t wait for. We’ve only done this as family. Not yet just the 2 of us. Yes! Normally on the rare occasion we have a day date, we go shopping and for lunch. But Andy had the brilliant idea to use our Merlin Annual Passes and we went to Thorpe Park for the day. It was a lot of fun and the perfect choice. Andy has been to a football match with his friends and also a Rugby match. I had an unexpected birthday surprise from one of my closest friends who took me to the spa for the day. It was amazing and just what I needed. Yes! I had a lovely trip to Eagle Brae in January with some lovely blogging friends. What a beautiful place and I would love to return with my family. Yes! 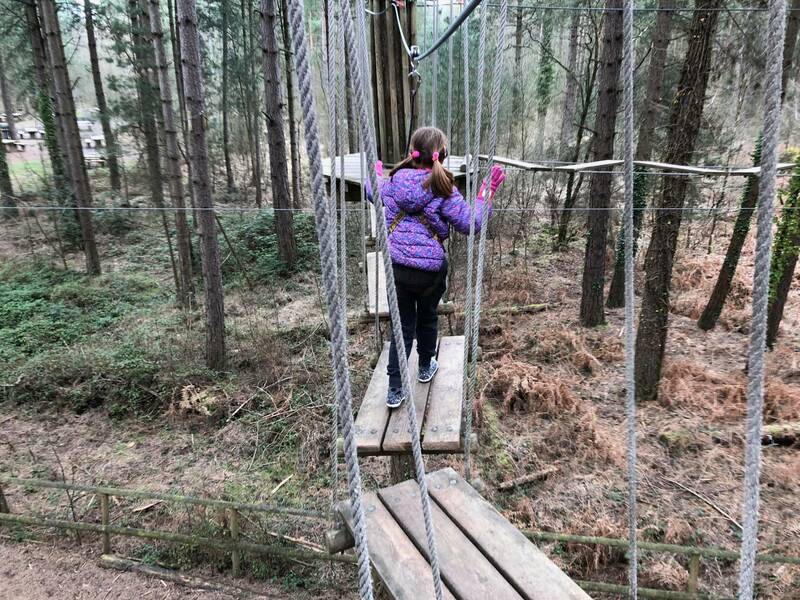 We did the junior Go Ape with the girls and it was brilliant. Holly was really brave and managed it once round the smaller course. Alice was amazing and did it 4 times! Yes! He has been really good and going a few times each week. He runs with his friend and I think this a great way to motivate yourself. I’ve brought them and I do use Lightroom. I now need to learn more about to get the best from it. When we went glamping for the first time in Dorset, we took a trip to Corfe Castle. It was beautiful and definitely one of my favourite National Trust places we’ve been to. 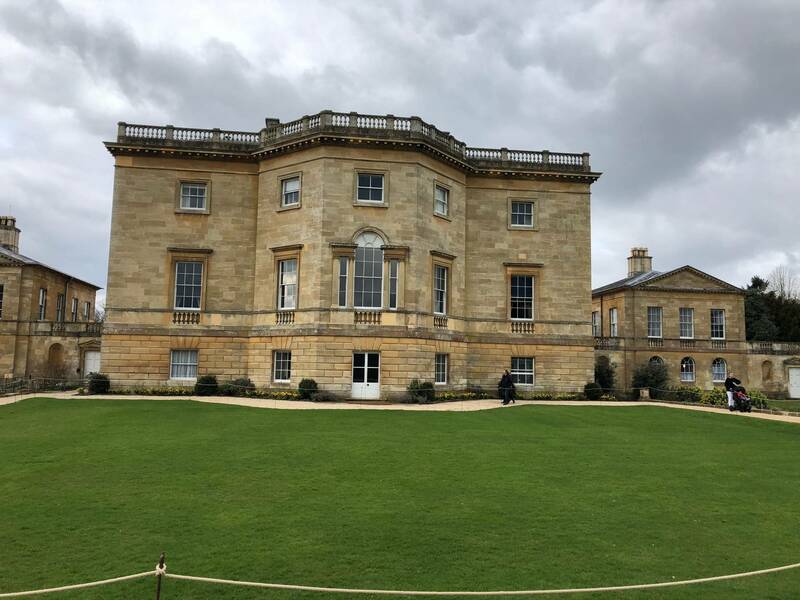 We’ve also been to Basildon House for Easter and it was beautiful. They had an Easter trail and the girls loved it. Have a holiday abroad if possible. We made a decision not to go abroad this year. The cost of it was ridiculous and we decided to use the money to have a holiday in the UK. A few little trips throughout the year and also to do the family room. It was definitely the best decision we made. Hopefully we will get a chance to do this in the warmer months. But we did go glamping for the first time and loved it. Our family holiday this year is to Cornwall and we can’t wait to go. I’ve not been since I was a child and it will be great fun. We can definitely tick this one off. As we are Merlin Ambassadors this year, we’ve been really lucky and have been to Chessington World of Adventures and Alton Towers. With trips to more planned too! We’ve also now been to Legoland as a family and Holly and I went with my parents too. We’re definitely making the most of our Merlin passes. This is all booked for October and I can’t wait. Yes! 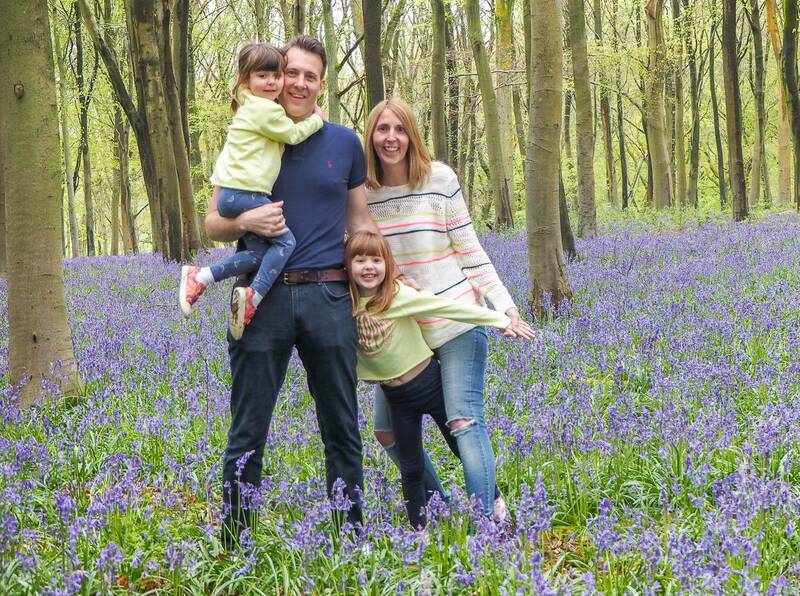 We took our annual trip to the bluebells which the girls love and I got some beautiful family photos. It’s definitely one of our favourite places to go. Yes! We went last week for 2 days and had an amazing time. We were really lucky to have a sunny day and the girls loved Cbeebiesland. It was brilliant and we can’t wait to go back in a few months. We went for the first time as a family on the 1st January! It was great fun and the girls loved it. We will definitely be doing it again. A few weekends ago we went with my family and the girls had a great time doing it with their cousin and uncle. We’re off to Centre Parcs for my mum’s 70th birthday in December and we’ve booked the girls to see Father Christmas. We’ve had a couple of weekends away already this year and we have 4 more booked in for the rest of the year. We decided to make this the year that we got away more and so far we’re loving our little adventures away. 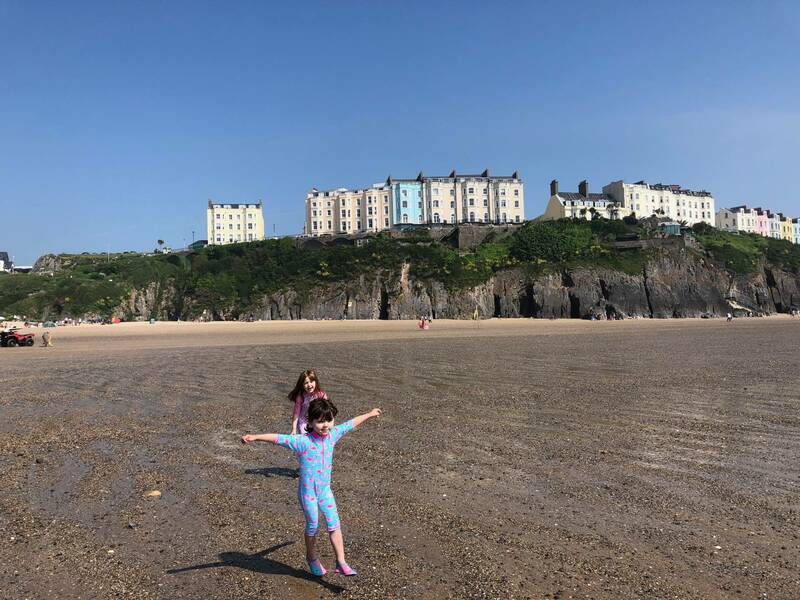 We had a trip to Wales with my parents for my birthday which was lots of fun and the weather was brilliant. We had a wonderful time glamping at Caalm Camp in Dorset in February. We were a bit apprehensive about it before we went, but it was brilliant fun. I can see us doing it again. What a year it’s been for us already and we’re only half way through. We’ve got an exciting couple of months coming up and I can’t wait. Oh wow you have done SO much already and it’s only June! I wish I had done one of these bucket lists for the year, I feel we have done so much but there is so much one I want to do this year – first get our bathrooms finished, agghhh!! You have been really busy and got so much done. I keep trying to get the garden done but my plans are not going anywhere yet with the heat. Gosh you are doing so well with your bucket list. I’m scared to look at the list I made at the beginning of the year – I don’t feel I’ve achieved very much. Sounds like you’re whizzing through your list and having loads of fun! The first half of 2018 has been very busy for you and your family. I hope the second half is even more exciting. Sounds like an exciting first start to the year – great to see you yesterday on the cruise and good luck with your sunflowers. Ours are taller than me already!